More Dark Knight Rises (that still sounds like a Star Wars title to me) casting rumours have been firmed up this week, with the confirmation that both Marion Cotillard and Joseph Gordon-Levitt will indeed be teaming up once again with their Inception director Christopher Nolan. I don’t normally cover straight news stories, but there has been a lot of speculation around which characters these two actors will be playing, and the names revealed are not what had been rumoured. Word on the street was that Cotillard would be playing the daughter of Ra’s al Ghul, Talia. The idea was that she would be seeking vengeance for the death of her father at the hands of Batman, as depicted in Batman Begins. It has been revealed that she will instead be playing a character named Miranda Tate. Tate works within Wayne Industries, alongside Bruce, apparently helping him to try to restore his father’s legacy in Gotham. So does this prove the previous rumours unfounded? Not in the slightest. For me, it actually supports and complements the plot points that were flying around. Nolan has kept details, as usual, pretty close to his chest. What we do know is that there will be flashbacks featuring a younger Ra’s al Ghul than we saw in Batman Begins. The storyline in The Dark Knight Rises apparently brings things full circle to the first of Nolan’s Batman movies. What do we know about al Ghul? He is part of The League of Shadows, a secretive organisation bent on bringing down the world’s most corrupt societies. He disguised himself, using the name Ducard, and before his death was only too aware of Batman’s true identity. If his daughter was to seek revenge, would she not too take on another identity? Knowing that Bruce Wayne was Batman’s alter ego, would she not try to get close to him, thereby maneuvering herself into a position whereby she could kill two birds with one stone, by infiltrating Gotham’s very structure in order to destroy it, and kill Wayne in the process? It may be that Tom Hardy’s Bane is her instrument, or at least an accomplice in this task. By being privy to Wayne’s movements, she would also have some idea as to Batman’s comings and goings. 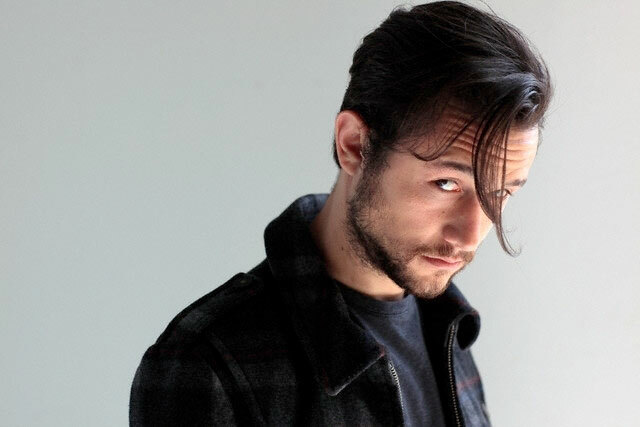 As for Gordon-Levitt, the speculation was that he would play Alberto Falcone, son of Carmine Falcone who lead the organisation of criminals brought down by Batman in Batman Begins. This never really rang true, and to me seemed a waste of a quality actor. He will instead play John Blake, it turns out, a beat cop assigned to a special position under Commissioner Gordon. To me, this makes perfect sense, and whilst many are saying this sounds like a bit part, I think it is a very important role in the film. At the end of The Dark Knight, Batman was on the run from the law, with only Commissioner Gordon aware of his innocence. With the Commissioner to steer heat away from Batman, and to advise Batman on the progress of their manhunt, our hero probably wouldn’t have too much trouble evading the cops. Blake adds a very inflammatory element in there. A hungry young cop, determined to make his name by hunting down public enemy number one. This will invite clashes with his boss Gordon, who will be desperate to try to reign the young cop in for fear he might be successful. An energetic policeman using every resource to capture the Dark Knight is exactly what this movie needs to add an extra dimension to the plot. There will be no simple encounters for Batman, as he will have Blake breathing down his neck every move he makes. The added pressure of having to constantly look over his shoulder will be a major distraction to his efforts to fight the villains of the film, whoever they might turn out to be. With a worthy opponent in Bane, and an equally tough young lawman eager to take them both on, Batman will be in for the fight of his life, even before Catwoman, Talia al Ghul and whoever else becomes involved. This news has made me more excited for The Dark Knight Rises, and allayed some of my fears that the movie would become overstuffed with villains. Many fans were hoping for big character names, and there has been disappointment that the likes of The Riddler and such will not be shoehorned into the last of Nolan’s Bat-films. The mix that has been presented so far looks to me to be balanced, multi-layered, and potentially brilliant. It’s going to be a long wait. This entry was posted in Articles, News and tagged bane, batman, Batman Begins, casting, catwoman, christian bale, christopher nolan, comissioner gordon, confirmation, cop, cotillard, dark knight, film, gordon-levitt, john blake, latest, miranda tate, news, nolan, ra's al ghul, rumours, talia al ghul, the dark knight, the dark knight rises, villain. Bookmark the permalink.